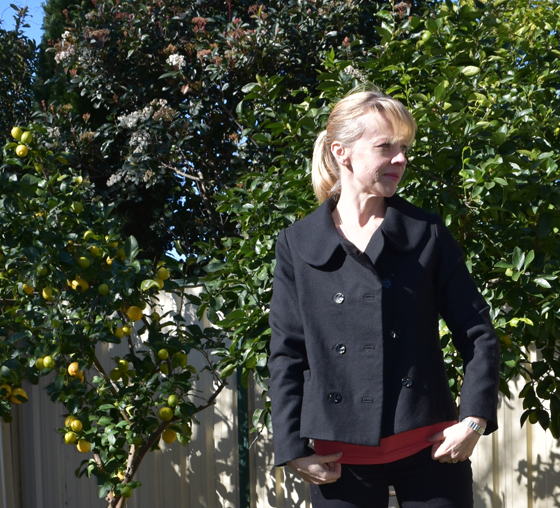 This is my second version of the Colette Anise Jacket and what a world of difference a couple of years of experience makes, as I viewed this pattern so differently this time around, with a much more critical eye. This version is heaviliy modified from my first version, I adjusted the fit on the back significantly to remove the boxiness from my first version and added in a small narrow back adjustment which made a massive difference to improving the fit. Reduced the downward curve in the hem (not obvious on the pattern line drawings but on my shape it dipped/curved down significantly at the back back) – it didn’t take it all out, but I made the curve less dramatic. Forward Shoulder Adjustment (rotated the shoulder seam forward by 1cm). Instead of adjusting the sleeve, I just rotated the sleeve forward by 1 cm to match the new shoulder seam. Everything from my library of Tailoring books. A medium weight black wool crepe, it was lovely to work with and extremely forgiving. Vintage black buttons inherited from my great aunty, probably from the 1950s. The lining is from the Alannah Hill Clear It store in Melbourne. I was so overwhelmed when I finally made it there that I ended up buying a heap of lining fabrics, some buttons and not much else. The entire jacket is underlined in silk organza. 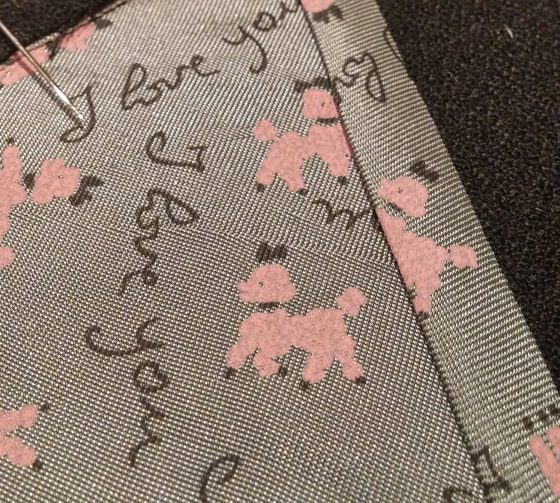 Rather than fusing the interfacing direct to the wool crepe, I followed the suggestions by Sandra Betzina who says “Application of fusible interfacing onto the wool crepe is not recommended because it changes the hand of this beautiful fabric. 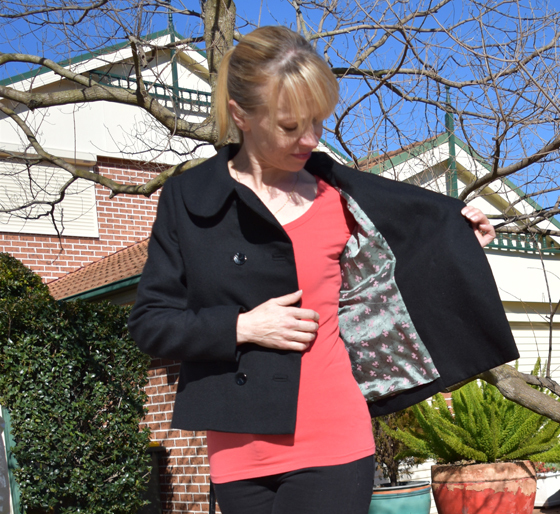 Fuse interfacing to jacket underlining.” This worked beautifully. I used Pro-Weft Supreme Light for the body and Pro-Weft Supreme Medium for the collar and shoulder reinforcement, all from Fashion Sewing Supply. Added in a back stay and shoulder reinforcement, as per instructions from my Tailoring book. 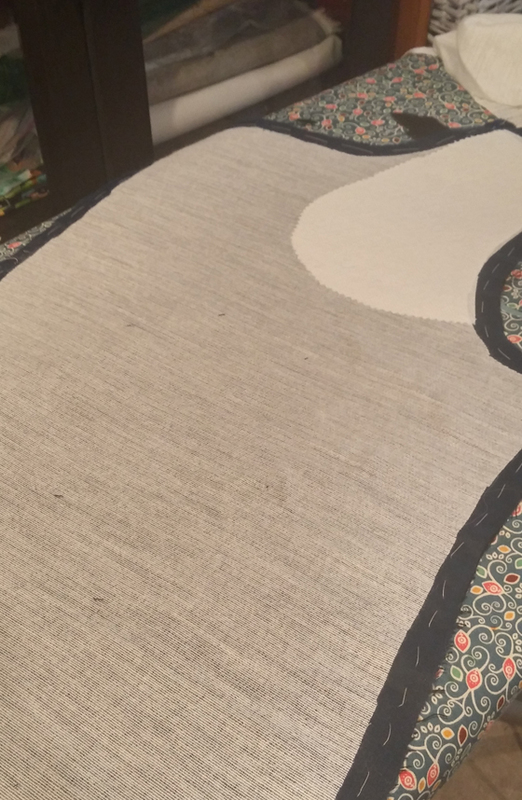 I completely ignored the instructions for the lining and instead bagged the lining by machine using my usual method, including the excellent steps for machine finishing the area where the lining and the facing meet up. It completely does my head in that the suggested method for finishing off the hem of the facing and lining is this (go to the last image), which is to trim off the facing to a standard seam allowance, and then “Turn the facing front (E) back to the inside of the garment. 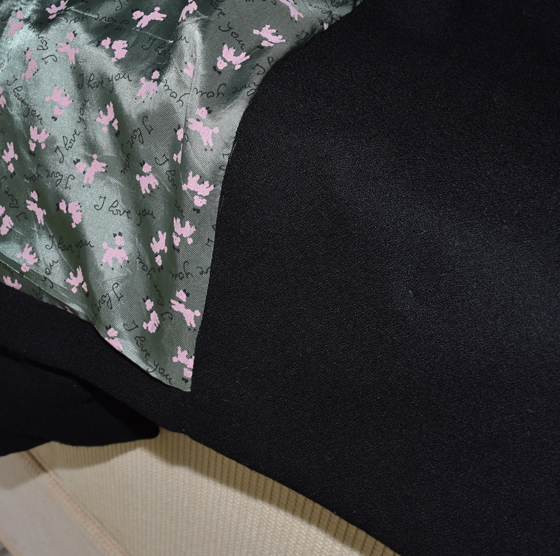 Hand stitch the hem of the facing to the hem of the jacket using a fell stitch”. I followed this to the letter with my first jacket because I didn’t know any better and I am totally bamboozled by the unfinished and exposed hem of the facing. It looks so bad. Also not machine finishing/closing the facing hem is just unexplicable, but I guess Colette was trying to keep it simple for beginners. Needless to say I got away with this in my first jacket due to using a wool melton but the finish on this wool crepe version looks a billion times better . I also really hated how the instructions have you just zigzag or serge the bottom edge of the welts where it joins to the pocket lining. Although it is inside the pocket this would annoy me everytime I put my hands inside the pockets, so I made bias strips from the lining and hong kong bound those edges without adding too much bulk. I have a comfortable jacket to wear, it took way too long to make, with plenty of mistakes along the way, but now that its done I am happy. I don’t think I will make this pattern again though, the next time I am inclined to make a double breasted jacket I plan to tackle this one, Vogue 1467 (minus the super shiny buttons though). 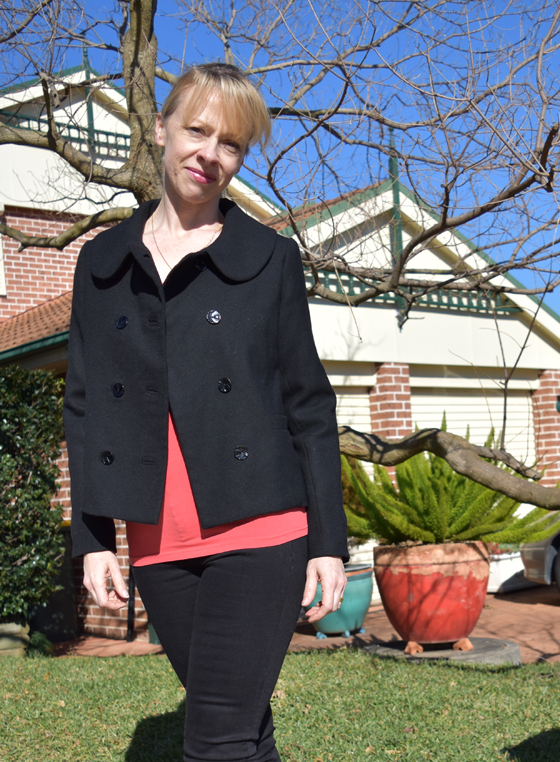 One thing is for sure: wool crepe is just wonderful to sew with an to wear. My question is: why is it so difficult to find here in Australia? Does anyone know some good local sources for wool crepe? The downturn in the Australian dollar combined with massively increased postage costs mean that ordering from overseas is no longer as easy as it once was.